Holidaying in the UK is the perfect staycation for when you want to squeeze in a day or two away. 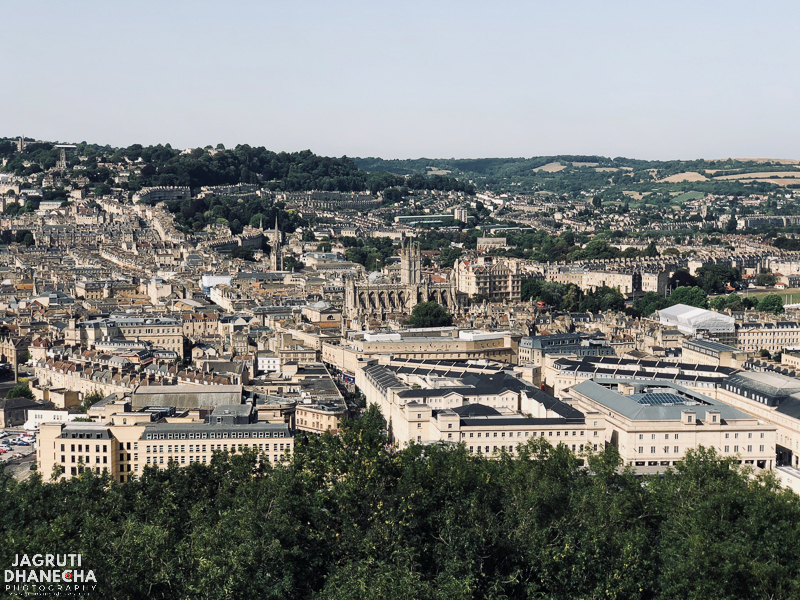 Recently, I visited Bath during a short break from university. Bath is a small city known for its natural hot springs and honey-coloured Georgian architecture. It is rich in history and a wonderful way to immerse yourself in the past. Bath is in the valley of the River Avon - a mere 100 miles away from London. The city became a World Heritage Site in 1987. As a result - it is extremely instagrammable! 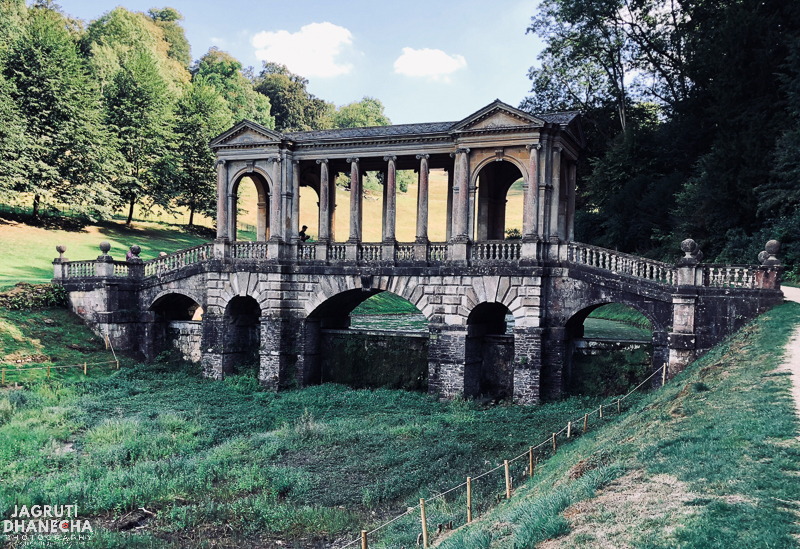 Here is my list of top things to do in Bath, Somerset - whatever the season! 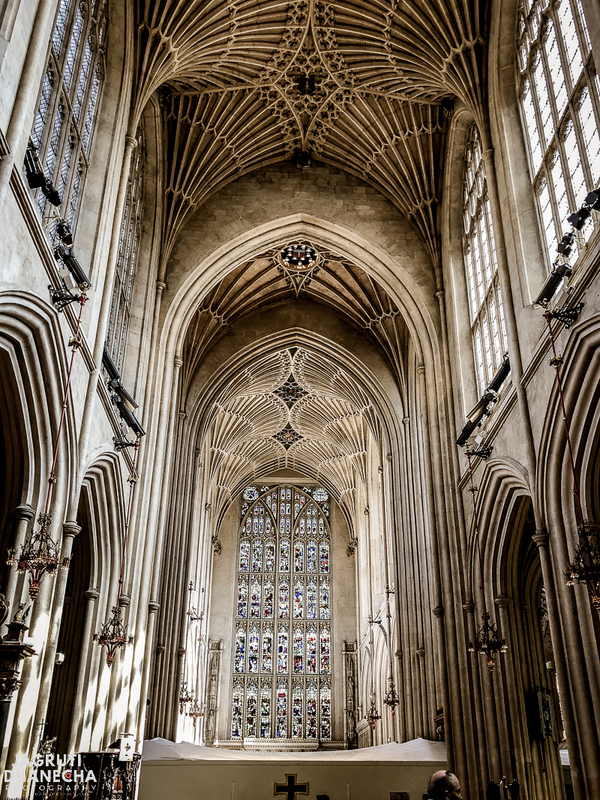 You won't know where to look first once you step inside Bath Abbey. A perfect chance to rest your feet as you gaze up at the magnificent ceiling and beautiful windows. Entry purely to the Abbey is by donation. To visit the tower, you can get a ticket from the Abbey shop on the day for £8 for an adult. From the tower, you get a different perspective of the abbey with views of Bath and you can stand on top of the Abbey's fan vaulted ceiling. 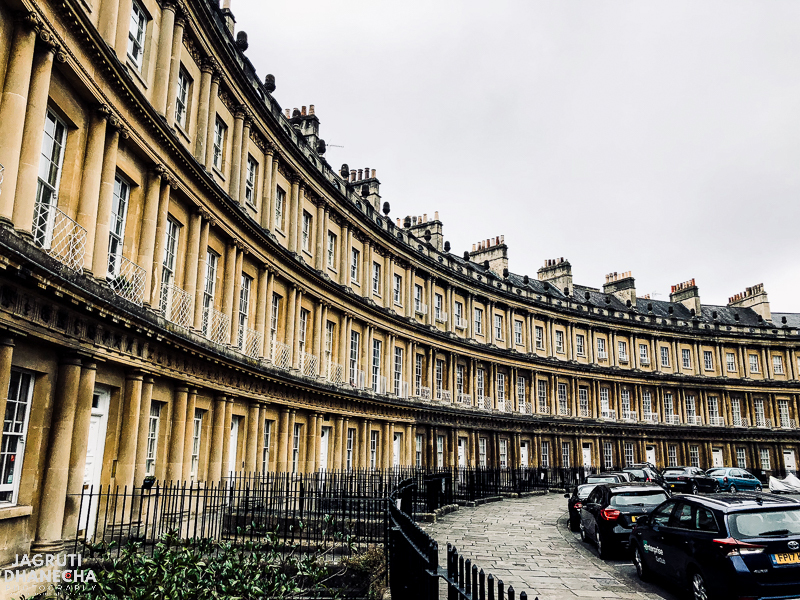 Just a 10-min walk uphill from Bath Abbey, you can reach the iconic Royal Crescent and The Circus - the most prestigious addresses in Bath. Bath is famed for its arched streets, which can be seen from various viewing points surrounding the city - and these Georgian masterpieces do not disappoint when up close. The Circus was designed by John Wood, the Elder and the Royal Crescent designed by his son, John Wood, the Younger. 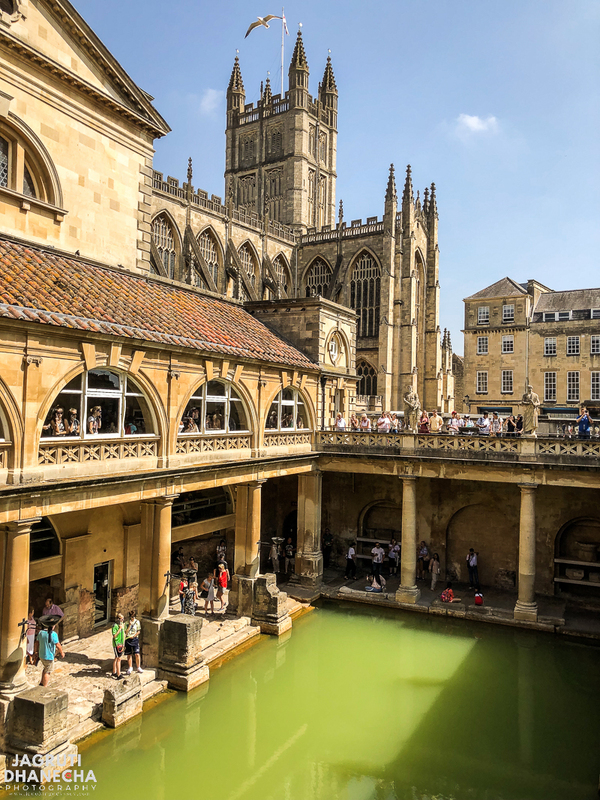 A visit to Bath would be incomplete without visiting the Roman Baths! It is a site of extensive ruins and is a well preserved Roman site for public bathing. Audio guides provide commentary in various languages - all that can be controlled by you. The water is not safe for the public, however the same thermal water but treated is used in the Thermae Bath Spa. This state of the art spa complex opened in 2006 and would be the perfect way to round off your trip! A perfect fusion of glass, stone, light and water, the spa allows the public to experience bathing in thermal waters the way the romans did. A Thermae Welcome ticket (£36-40) allows you 2 hours to experience 2 thermal pools - one of which is in the open air and a wellness suite. 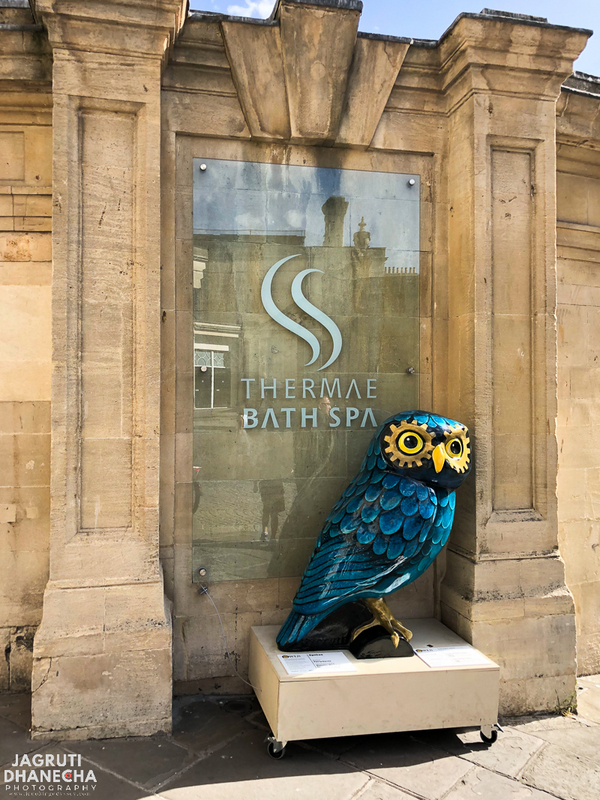 At time of writing, a ticket to the Roman Baths, in the weekdays, gives you an extra 3rd hour in Thermae Spa. Just south of Bath, roughly a 15 minute drive away is the spectacular landscaped garden Prior Park. It houses one of the only 4 Palladian bridges in the world with 3 in the UK and 1 in Russia. You can easily spend a few hours here taking the park and the beautiful view of Bath in the distance. You can either walk the shorter route or the longer route with the map given to you. There is no parking onsite, unless you have a disabled badge, but there is enough parking near the residential roads a 2 minute walk away. 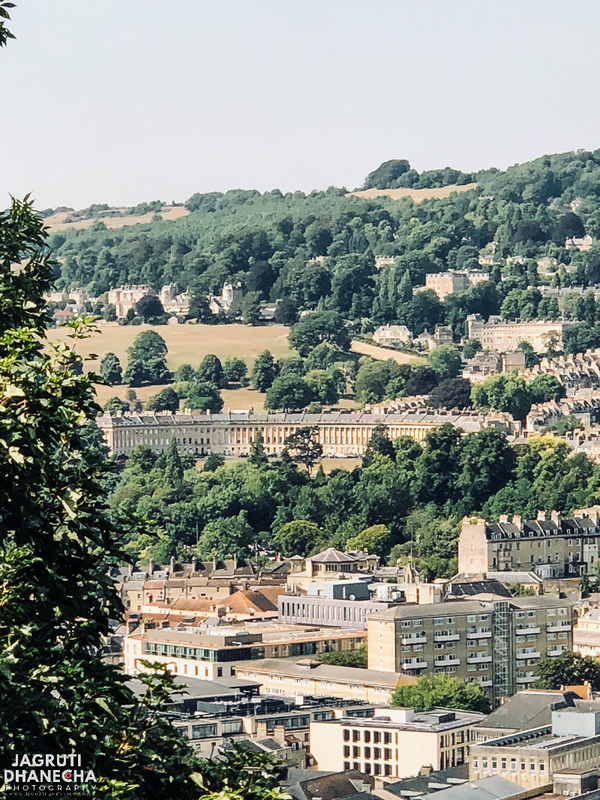 For alternative, uninterrupted views of Bath, the short trip up to Alexandra Park is well worth it. Perfect for when the sun is setting, all of Bath's highlights can be seen clearly. You can either walk up to Alexandra Park or take the car. Parking and entry is free. If you are driving to Bath, then a quick visit to Lacock Abbey is a must. If you are a Harry Potter fan, then a visit is mandatory! Roughly 10/15 miles from Bath, Lacock is the quintessential picture perfect English village. It almost becomes a game to stroll through the village and see how many filming locations you can spot, examples include the Sign of the Angel and Chapel Hill (used in Harry Potter 6 when Dumbledore and Harry meet Horace Slughorn). 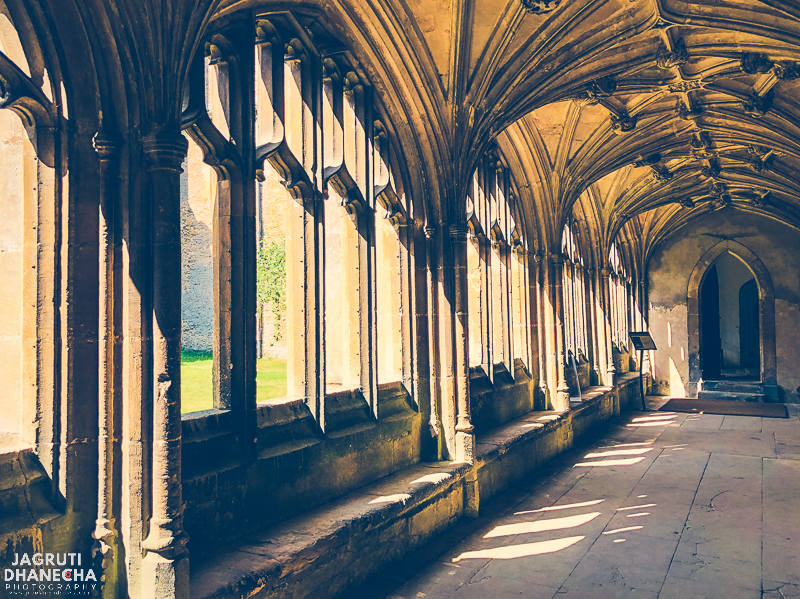 Lacock is also the birthplace of photography and there is a display within the Fox Talbot Museum which is next to Lacock Abbey. There is a free carpark in the village, a 5 minute walk to the Abbey. Love these pictures!! I've only been to London, I do hope to be able to visit Bath on my next visit!